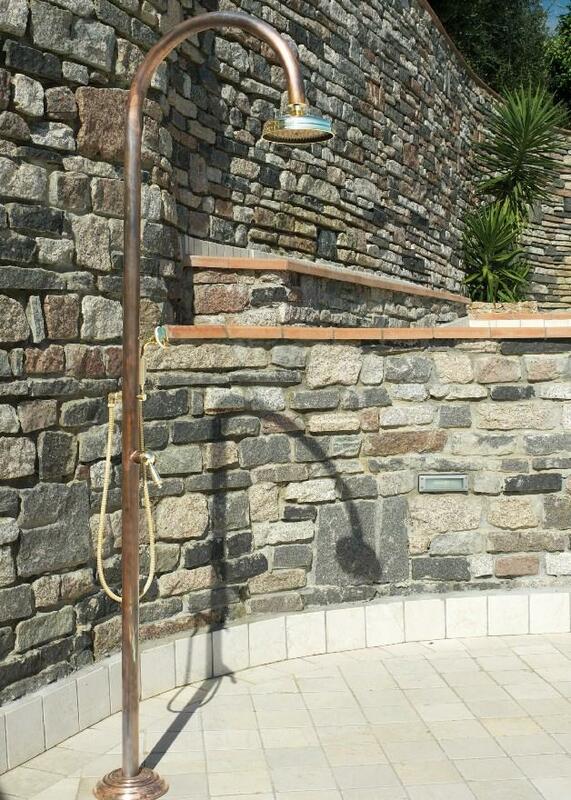 A stunning, high quality, single or double feed shower that would look equally beautiful in your garden, by your pool or in your bathroom ! 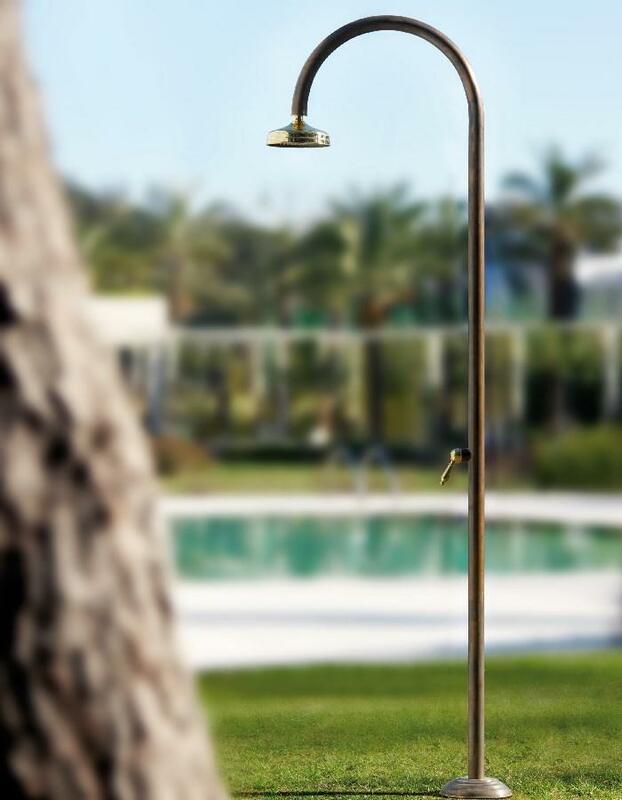 Choose from Single OR Double Feed shower with additional hand held shower OR a Double Feed shower with just a mixer lever (NO hand held shower). 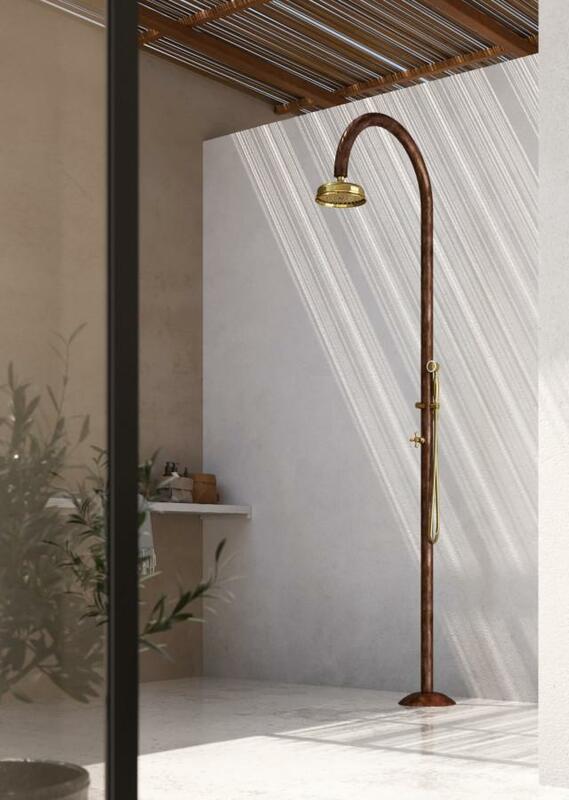 If choosing one with the additional hand held shower, it will then have a diverter and a 150 cm length hose and small hand shower head - all in polished brass. Floor bayonet fixing (underneath the copper cover) with threaded bars, nuts and washers, all in 316 stainless steel.